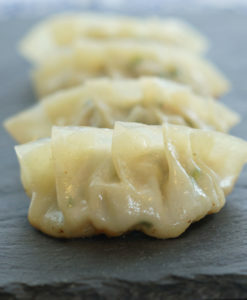 Thin and velvety smooth, the thin edges of these wrappers are well-suited for pleating, and crisp perfectly after frying. 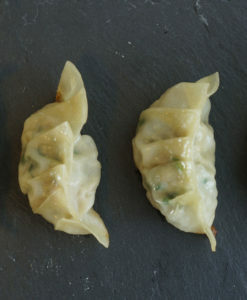 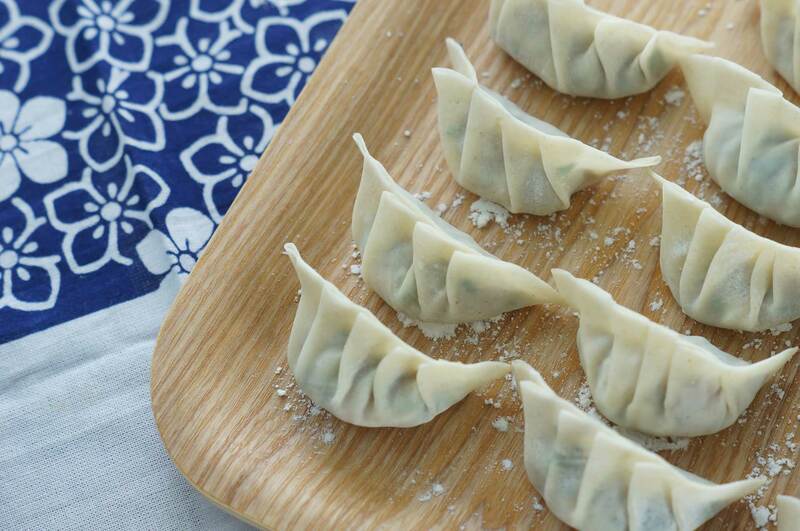 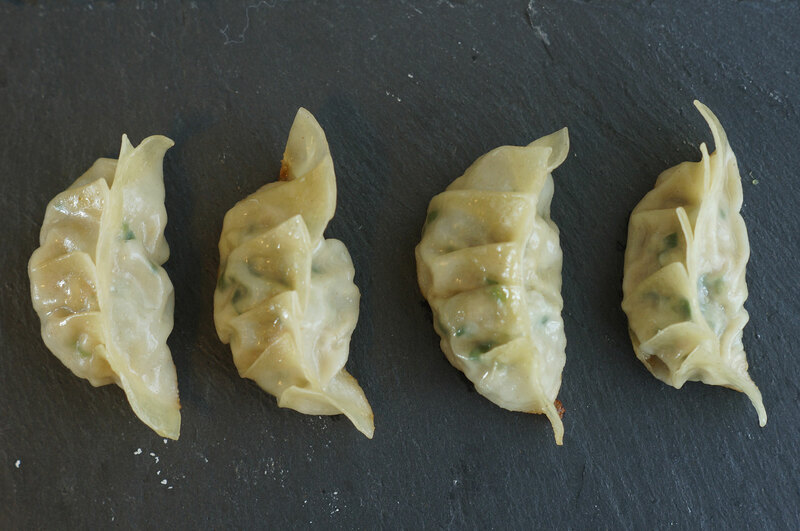 Our handpicked gyoza skins are made without eggs. These skins are perfect for making pan-fried Japanese gyoza, deep-fried pot stickers as well as steamed dim sums. 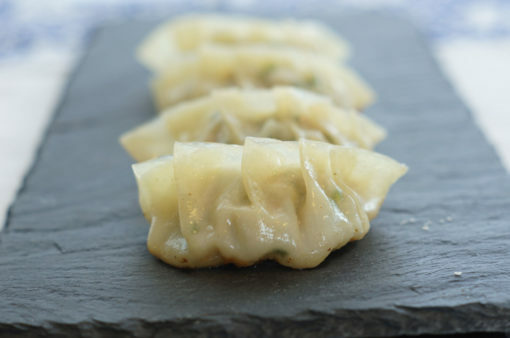 Heat oil in a frying pan, place gyoza flat side down and cook for 3 minutes over medium high heat. 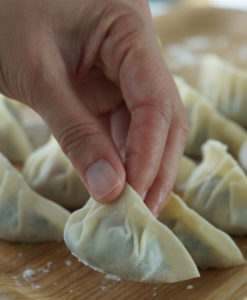 Next, add enough water to cover just the pan base. 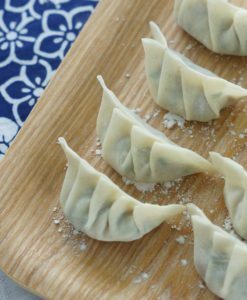 Cover immediately and steam until most of the water evaporates. 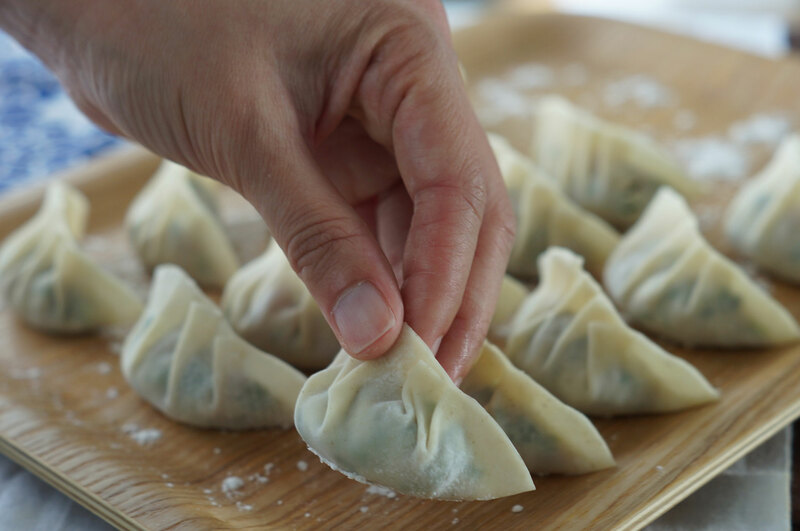 Remove the lid, add a dash of sesame oil around the pan and cook uncovered till the gyoza is crisp on the bottom.